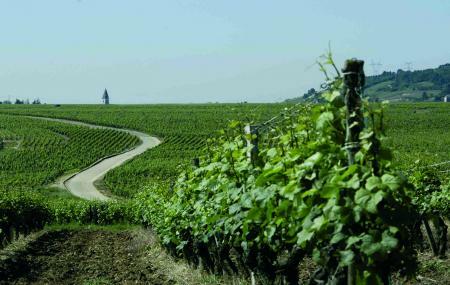 Find hotel near Burgundy Wine Route Betwe .. This is one of the most popular ways to discover the vineyards of the city. This is a very peaceful path along the villages of Southern Burgundy where you get some of the most calming views. Along this way you get to stop and explore the most important grape production areas, caves and other wineries. The most notable places amongst all are Cote de Nuits and Cote de Beaune. Another highlight in this way is the Chateau du Close de Vougeot, which is a historic castle. How popular is Burgundy Wine Route Between Beaune And Dijon? People normally club together Musee Du Vin De Bourgogne and Musee Des Beaux- Arts Et Musee Marey while planning their visit to Burgundy Wine Route Between Beaune And Dijon.